Have you ever had the experience where somebody casually shares a thought in conversation and in that otherwise insignificant moment you are suddenly granted a clarity and meaning that previously eluded you? It happened to me recently in a meeting where one of our clients dropped this doozy: “If nothing ever changed, there’d be no butterflies.” And suddenly all the challenges associated with change in life and business were brought into the beautiful context of metamorphosis – a process promising glorious transformation, a process which prepares one for purposes totally beyond the current experience. Change has been in the air for some time here at Compass as well. 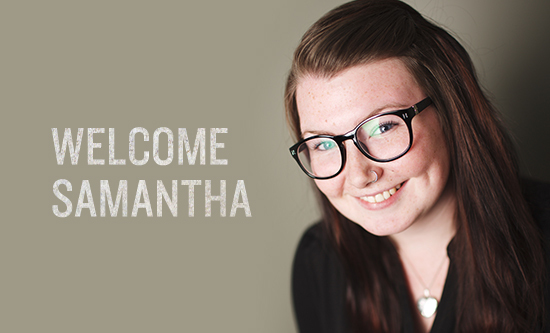 We officially welcome Samantha Vink to our team. We like to think we do some great work for our clients. Samantha’s role is to help us in the management and delivery of that work – to ensure that our clients are well cared for in the process. We want to do great work but not at the expense of treating people with utmost respect and care. It’ll be Samantha’s friendly voice you hear on the phone when you call us and who will be happy to assist you with even the smallest of details that you may need our help with. At this point we’ve switched almost entirely to digital estimates and invoicing. This ensures clear and timely communication on project details, not to mention the saving of paper and ink. We’ve continued to improve our systems and software which give us more clarity and certainty regarding the details of your project at any given time. We’re also getting ready to launch a new website of our own. It will include a fresh new look, responsive layout, and brand new samples of recent work we’ve done. Stay tuned for a new and improved site with additional features for our valued clients. Our new website will also tell our own ever-changing story. A story that has at its heart our mission to improve the stories being told in the marketplace. A story that has us pursuing truth and beauty and results. What’s happening in your business right now? Are you dealing with issues or challenges that could use a little perspective? Does the story you tell potential customers still reflect the truth about you and/or your organization? Could you use some help to connect with your audience in a more compelling way? Ready to embrace some meaningful change in your life? Give us a call!